Life lessons from a ‘guru’ who I have never met – but whose presence I have always felt! You can’t solve all your problems at the same time. Do what you can do in a given moment, do it well and let go. There is no other way to live Life. This is the only way to be happy. This is what I have learnt from our guru, our teacher, Swami Sathya Sai Baba. Interestingly, I have never met Swami in my Life. But I have, over the last 7 years, experienced his presence every moment and his teachings have come in at all those crucial times when I have needed them the most. I remember vividly. It was 8thMay, 2009. A Friday. Earlier that week, given that we were dealing with the bankruptcy of our Firm, and were unable to repay our creditors, including my immediate family, there had been a showdown with my mother. I had borrowed money from her and had pledged my parents’ property (an apartment in Chennai’s Gandhi Nagar/Adyar area) with a bank. With the turn of events and the eventual collapse of my Firm, and my personal insolvency, I was neither able to return the money I owed my mother nor was I able to redeem their property from the bank. For whatever reason, best known to her, my mother, with whom I have always had a poor chemistry, imagined that my wife and I were faking a bankruptcy. She said I was a cheat and demanded how I was able to carry on living “flashily” while being unable to repay her. I have had so many arguments with my mother and several showdowns over the years of growing up, of knowing her and being her son. But this time, this showdown was gut-wrenching. The burden of the label she affixed on me, of a cheat, was unbearable. What she said was not so important but what weighed me down was that my own mother, my own biological creator, was saying it without wanting to understand me. This showdown happened on Monday, 4thMay, 2009. For the next few days I was numb. I was struck by grief. 178 other creditors were chasing me, demanding money. Many of them were harassing me and my family. But facing all of them, and the stresses of having to convince people that I did not have money to repay, I never felt so beaten, so battered. But my mother calling me a cheat, this was something I could not get out of my mind. I hardly slept those next few days. (I have recounted this experience and others in my Book – “Fall Like A Rose Petal – A father’s lessons on how to be happy and content while living without money”; Westland, August 2014) That’s when, seeing my plight, a friend recommended us to a Sai Bhajan. The host of this Bhajan is a young man who is a messenger of Swami – Swami speaks through him. Given that I am a rational thinker, my friend advised me and my wife to “hang all scientific thinking and reasoning at the door” and simply go in total surrender to a higher energy. 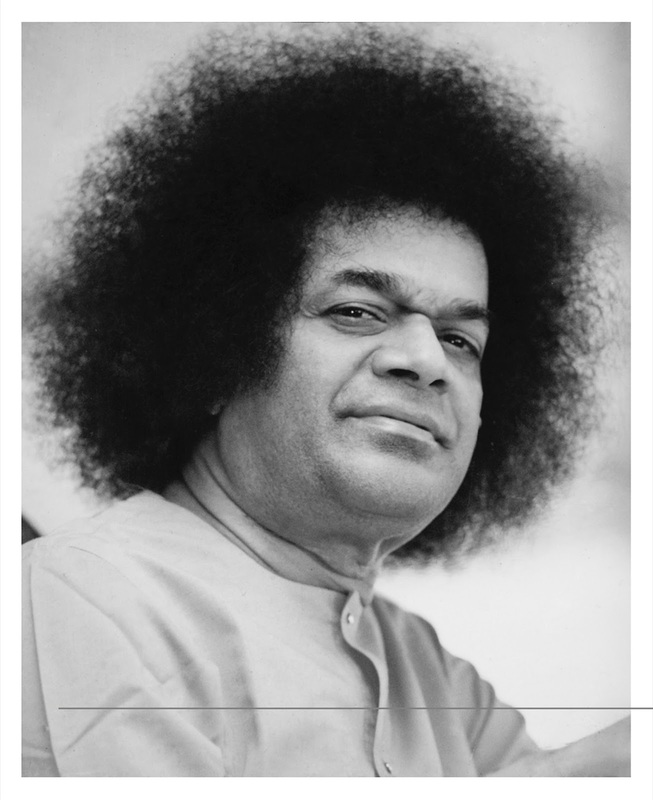 At that time, I never had any disrespect for Swami – I always believed he was a great social worker and I felt the work he was doing in the Puttaparthi area was remarkable. But I didn’t, back then, think much of Swami as a guru or even as a swami. Yet, convincing myself that I didn’t have anything to lose by following our friend’s suggestion, on Friday, 8thMay, 2009, I attended a Sai Bhajan for the first time in my Life, at this young “messenger’s” house. As the Bhajan was in progress, something happened within me. I simply broke down and cried inconsolably. I remember saying this to myself, “I don’t know you. I don’t know who you are. I don’t know if you are indeed a swami, swami. All I know is that I am not a cheat. And I want you to help me and my family. We don’t know what to do. There is total darkness. There is no way. Please help. If you lead, we will follow.” You can call it a prayer. You can say it was a despondent appeal. Whatever it was, on that day, I couldn’t think of anything else to say or do. My own mother had called me a cheat – it seemed like the whole world had ended for me there. At the end of the Bhajan, my wife and I were invited to ask Swami questions – through the our young host, Swami’s messenger. We went into a private ante-chamber, where we were given vibhuti as prasad in a tiny zip-lock pouch. Words failed me and my wife. This seemed very illogical. Very bizarre. Yet, strangely, it seemed real. And true. Swami spoke through the young messenger: “I am now your mother and father. Your debt is mine. Just let go and be happy.” I had not told the young messenger anything. I had not talked of the issues I had with either my mother or of our bankruptcy and insolvency. But Swami was bang-on! He had addressed the most important issues that plagued us both at that moment. We were dumbstruck by what we heard. And that’s how our journey with Swami began – we simply let him be our coach, teacher and guru. Over the last 6 years, whenever we have had problems – and we have had huge ones, almost every single day – Swami, through the young messenger, will only reiterate this one point: “Let go! 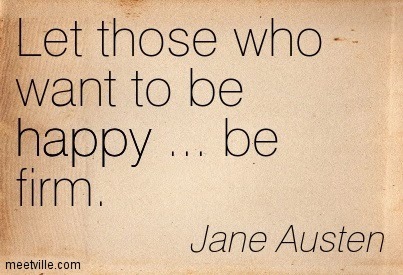 And be happy. Focus on the now. Live in the moment. Tomorrow’s problem, we will see tomorrow. 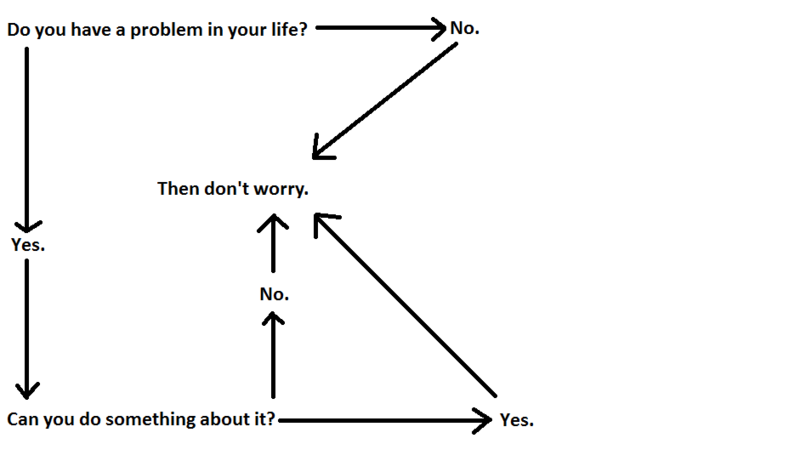 Stop the worrying. Just stop it.” Yet, Swami has never advised or allow inaction. He would always say: “Do what you can, what you must, to solve the problem. Take action. But don’t worry. Worrying is useless. It kills the spirit of all your action.” To be sure, never once has Swami, through the young messenger, asked us to do a puja or say a prayer or conduct a penance – the only thing he’s asked us to quit is, well, worrying! And there’s really nothing irrational about that advice! Author AVIS ViswanathanPosted on July 31, 2015 March 14, 2016 Categories Art of Living, Be Happy, Fall Like A Rose Petal, Guru Purnima, http://schemas.google.com/blogger/2008/kind#post, Inner Peace, Intelligent Living, Let Go, Suffering, Swami Sathya Sai Baba, Westland Books2 Comments on Life lessons from a ‘guru’ who I have never met – but whose presence I have always felt! Let’s not take Life too seriously. Just live it. And forget about it! A story in the papers this morning set me thinking. The family of a dead man in Trichy has charged the local gasifier crematorium of the Trichy Corporation of not handing over his ashes to them. The family claims that the ashes they have received are not of their man’s and believe that there has been a “mix-up”, “some foul play” and demand a “DNA Test” by the Corporation to confirm and assure them that those ashes indeed belong to their dead relative. I couldn’t help chuckling to myself as I read that story. Does it really matter what we do about our dead after they are gone, after they are cremated or buried with dignity? Think about it, they are just mere ashes. 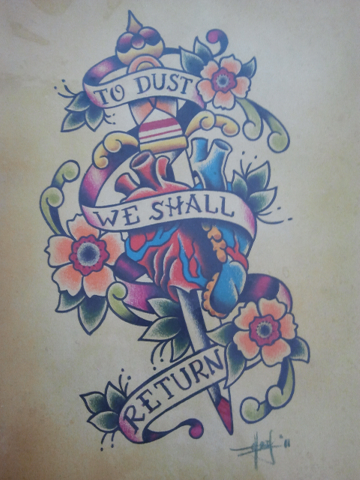 We came from dust and unto dust we all will return – this is the simplest way to understand Life. That is all there is to it. It was a choice-less birth (none of us has asked to be born), and it is often an exit which we don’t quite plan. We come with nothing. We go with nothing. Then why this drama – of success, failure, wealth, ego, relationships, religion and what not – during this lifetime? What’s worse, as is apparent in the Trichy crematorium story, is that the drama continues even after someone’s dead and gone! I can’t think of a better way to live than to simply let go. Don’t take Life too seriously. Nothing will survive. No one will survive. So, just be easy on yourself. And on people around you. If you can solve your problems, do so. If you can’t, let them be. If you can get along with people, great. If you can’t let them be and you just move on. If you have money, you can buy a few things you want. If you have no money, be sure that no matter who you are, your needs will be taken care of. Not the way you want your needs to be met, but the way Life has designed to meet them. This is what Life is all about. So, don’t waste your precious lifetime trying to make your ever-perishing Life perfect. Just let go and be happy! Sometimes, you may have to be firm and tell some people off. In doing so, you are not being unkind or rude. You are simply responding to a situation that has been created by someone and which you intensely dislike. This happens to all of us. Especially in close relationships. That people start taking you for granted. They intrude on your privacy. They want to have an opinion about everything you do. And they, if you are not wary, end up treating you like a doormat. You suffer them because you don’t want to be either petty – like them – or it’s not in your “intrinsic nature” to be “unkind” to people. Now, let’s get this right. There’s nothing “unkind” in asserting yourself so as to protect your inner peace and dignity. Whoever it may be – parent, sibling, child, neighbour, colleague or friend – no one, no one has the right to treat you in a manner in which you don’t like or don’t want to be treated. Period. So, hiss when you must. Just to put people in their place and to protect your inner peace. Some of the situations Life places you in will also require you to fight for justice. Often with people who are supposedly close to you. Don’t get clouded by sentiments about close blood relations in such cases. I am not encouraging you to fight because it is the right thing to do. But what do you do when the situation created by people around you demands a firm – sometimes even legal – response? Don’t let your ego – in the garb of compassionate sentiments – come in between you and what you must do. Just do whatever you believe must be done in the interest of all parties concerned, without hatred, without anger, without any rancour. Such is Life. When you have to do something to ensure that your inner peace is not disturbed, you have to do it. And only you can do it. Do it also knowing, as Krishna says, that you are a mere instrument, a conduit for something that Life wants done through you! So, don’t fall short, don’t fight shy. If you don’t do what you must do in such situations, you will come in Life’s way and you will cause your own suffering. When you allow Life to flow through you, and you choose not to suffer, is when you are happy and in bliss. Author AVIS ViswanathanPosted on May 31, 2014 March 14, 2016 Categories Arjuna, Be firm, Be Happy, Bhagavad Gita, Buddha, Happiness, Hiss, http://schemas.google.com/blogger/2008/kind#post, Inner Peace, Intelligent Living, Krishna, Suffering, ZenLeave a comment on Hiss when you must…! On Christmas eve, a man named John boarded a plane and settled down in his seat in the front row of economy class. He looked morose and beaten. He was going home for Christmas, just as almost every other passenger on the plane was. After the doors were closed, the captain emerged from the cockpit wearing a Santa cap. He picked up the public address microphone in the front of the aircraft and said that since the airline was celebrating its 25th anniversary, everyone on board will receive a coupon that will entitle them to two free return tickets to Las Vegas and back – from wherever they lived in the US, as long as their city was serviced by the airline. Every passenger on board cheered in delight. People clapped. A couple of them in the front jumped up and hugged the captain. But John was listless. He was not excited. He was looking the same – distraught, disturbed and forlorn. A slightly older man, Greg, sat next to him. Greg didn’t know John from before but was amused that his co-passenger was not happy with the airline’s surprise offer! John burst out laughing. He laughed so loudly and for several minutes, non-stop, that the flight’s crew, who were readying the plane for take-off, were alarmed. They rushed to John to check if everything was okay with him. They couldn’t believe that the most sullen passenger on board, who didn’t even get excited when the Captain announced that freebie, was laughing so hard. Was he mad, they wondered? John couldn’t even answer their queries. He was in splits. He held his stomach and laughed as Greg smiled mischievously beside him. After almost 20 minutes, John calmed down and thanked Greg for making him laugh. There’s a great lesson in the conversation between Greg and John. Which is – worrying serves no purpose. If worrying about our problems can help us solve them, none of us will be having any problems. Because most of us are worrying all the time – aren’t we?! Worrying takes us away from living, from happiness. The biggest price we pay by worrying about the Life we want or don’t have, is that we lose the opportunity to be happy with the Life we have. Instead, if we focused on whatever is with us, on whatever is happening, and stopped worrying, we will live better, happier and healthier lives! Author AVIS ViswanathanPosted on April 13, 2014 March 14, 2016 Categories Art of Living, Be Happy, Don't Worry, Happiness, http://schemas.google.com/blogger/2008/kind#post, Inner Peace, Intelligent Living1 Comment on Postpone Worry, Not Happiness! Why not postpone worrying for a change? Let’s face it. There’s so much to worry about. Bills to be paid, children to be raised and graduated, parents to be cared for, deadlines to be met, loans to be repaid – the list can go on and on. However much you may try, you cannot but worry. Because there’s so much uncertainty around you and in your Life. But every scripture, every wise soul, every spiritual practice advises you to “Be Happy!” and to “Not Worry!”. How then do you stay free of worry? The truth is you possibly can’t. Not at the beginning of your spiritual, inward, journey. At best you can postpone worrying. An old story from the Buddhist scriptures shows the way to do this! That’s surely the way to live intelligently. Without doubt, even when you are on your deathbed, there will be unfinished tasks and aspirations on your plate. There will be things to do. And there will be stuff to be worried about. Worrying can become an integral part of living if you don’t change your perspective to Life! And worrying about a problem has never solved one! If it did, well, we would have no problems in the world – because isn’t everyone worrying about something or the other all the time? I have often wondered why bars and lounges have the concept of “Happy Hours”. They offer discounts during certain times of the day or evening almost alluding that the rest of the time you are likely to have been unhappy. 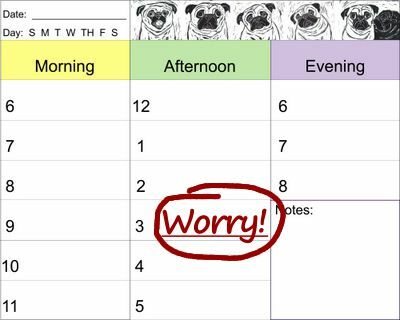 Flipping the paradigm, given the enormity of the crises that faces me sometimes, I have created for myself time slots in the week that I call the “Worry Hour”. With so much to worry about, and no immediate solutions often available, I find it a lot more productive to invest time and effort problem-fixing in specific spells so that the rest of the time, I am anchored and at peace with myself! Over time I have discovered that what I can fix, I always end up fixing, and what I can’t fix, stuff that I may have worried myself to death about in the past, often ends up sorting itself out anyway! And outside of my “Worry Hours” I always do only what gives me joy – engage in intellectual conversations with people I relate to, watch movies, go on long walks, read to learn something new or write my blog! Perhaps, you want to try this method too. It works very well when, like most other practices, it is done diligently! So, instead of worrying all the time and postponing happiness, why not choose to be happy and postpone worrying for a change? Author AVIS ViswanathanPosted on July 23, 2013 March 14, 2016 Categories Art of Living, Be Happy, Buddhism, http://schemas.google.com/blogger/2008/kind#post, Inner Peace, Intelligent Living, Worry, Worry HourLeave a comment on Why not postpone worrying for a change? "Fulljoy" Life – Then your troubles won’t double! If worry could solve even one percent of the problems that we face daily, worrying may be perfectly justified as a global pastime. Yet while it is evident that a large mass of humanity worries most of its lifetime away, there is no evidence to suggest that worrying has been productive at all. Worrying causes frustration and plunges you into a depressive spiral. Everything and everyone seems to be getting after you. One thing leads to another. And by the end of a destructive spell of worrying you are dealing with more crises than you originally had started off dealing with. Worrying comes free so everyone does that. But remember the problems it seeds are very, very expensive! A business acquaintance, by sheer accident, introduced me to this learning. Several years ago, I was in Bengaluru on work. And I was running late for a meeting. The one I had just finished had ended badly. The client owed my Firm a substantial sum of money. We had been following up on our claim for over a year. We had been promised a resolution and payment at that meeting. But the client reneged, disputed the claim and refused to make any payment that day. The meeting ended sourly and in a stalemate. I was both angry and worried as I rode in the car for the next meeting. I was angry because what the client had done was unfair and unethical. I was worried because I had issued cheques to parties, who were long overdue for payment by us, in anticipation of this inflow. I did not know what I should do. In such time, I reached the venue of the next meeting. It was a large company. And they were prospecting my Firm for a potential service contract. I was late. So, I tried to rush the security guard at the registration desk. He didn’t seem to bother. I yelled at him. When I finally reached the reception area, I found the receptionist speaking on the phone. It appeared to me in a few minutes that she was on a personal call. I gestured to her that I was late for a meeting. She impatiently gestured back asking me to be seated. I scowled at her. Finally, I was ushered into an empty conference room. I hooked up my laptop and tested my slide deck on the screen. An executive in formal attire walked in. I did not look up at him. I wanted to avoid any polite conversation. I just wanted to present my Firm’s case and go back, perhaps, to worrying. The fire in my cash-flow was far more demanding of my attention than a potential business deal. I assumed the man was one of the members of the leadership team to whom I was to present that day. After setting up my deck, I looked away from the man. It didn’t occur to me that I was behaving like an oaf. I was consumed by my desire to drown in the seductive, ruinous comfort of my worry! I paced up and down the side of the conference room that I had occupied. The executive must have felt it bizarre that his guest was not even acknowledging his presence in his own office! After what must have been several moments of silent gazing by him and a pretentious meditative pacing by me, he spoke up. I apologized. I thanked him. I walked across to his side. We exchanged business cards. I discovered he was the Head of Strategy and awarding my Firm the mandate, should we make the cut, was in his hands, apart from the CEO’s. I knew the CEO well. And that’s why I was there. I pulled myself from the brink that day, thanks to this gentleman’s unsolicited yet fortuitous intervention. The presentation went very, very well. And we bagged the contract! But more than that, the value of the wisdom this man has imparted in me is priceless. He taught me, in a nano-second, how worrying can ruin a perfect moment pregnant with opportunity! He taught me the power of now! It took me several years of struggle, tears, pain and suffering, to internalize this learning. But if he had not sowed that seed that day, I would not have been able to tame the worry beast in my Life! I was reminded of this episode this morning as I read a story in the latest issue of OPEN magazine on Rohan Marley, the legendary Jamaican reggae singer, and Rastafarian, Bob Marley (1945-1981). Rohan, now 40, told OPEN that his father had taught all his many siblings to not just enjoy Life but to “fulljoy” it! Think about it. How much of your precious living moments are you sacrificing on the altar of worry daily? How much of your time do you look beaten, morose and are wearing a frown__like I did that day in the conference room in Bengaluru? Don’t you want to “fulljoy” Life? If you do, then know that to “fulljoy” Life means to not worry and be happy! Because, when you worry, as Bob Marley famously and beautifully sang (“fulljoy” this song, clinging on to its every lyric…. http://www.youtube.com/watch?v=WIM3GHvBQjY), you only double your troubles! Author AVIS ViswanathanPosted on February 27, 2013 March 14, 2016 Categories Art of Living, Be Happy, Bob Marley, Don't Worry, Fulljoy, http://schemas.google.com/blogger/2008/kind#post, Intelligent Living, OPEN magazine, Rohan MarleyLeave a comment on "Fulljoy" Life – Then your troubles won’t double!